There are plenty of island escapes in the Philippines that boast of lush mountainous terrain and white sandy beaches. So if you're planning that perfect nature trek or island hopping adventure, then CORON, PALAWAN is a must-see destination for you. Experience what this Palawan province can offer you in just under 7 hours. Kayangan Lake is one of the many famous sites in Coron where you can have your picture taken with a mountain and a gorgeous blue sea as your background. The lake could be accessed through a short trek up a hill (as it's situated above sea level). It’s also been known for its nice mix of freshwater and saltwater. Your island hopping trip will not be complete without having lunch at Banol Beach. Most tours will offer this with buffet lunch in their package (usually includes rice, grilled fish and chicken, red crabs, seaweed with slices of tomatoes and onions). So after a hefty lunch, you can rest your tummy while basking under the sun or swimming by the beach. 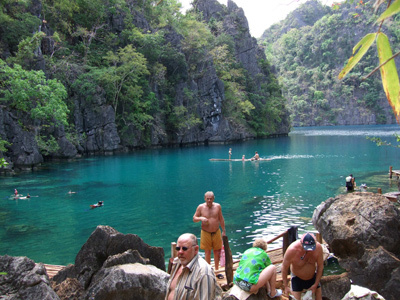 Another popular destination in Coron, the Twin Lagoon is known to be separated by a wall of rock formations. This remarkable site was also made famous by its way of entry. You can either glide or float through the narrow opening (the rock is about 5 inches from your face), or climb up an affixed deck of stairs (just on top of the opening). It’s an adventure on its own. Swim with different kinds of fish by exploring the Coral Gardens. The dive here is worth it. Another marine sanctuary, Siete Pecados is also a good spot for snorkeling, diving and marine life exploring. If you have extra time to spare, pass-by the La Sirenetta Restaurant & Bar (you'll know you're nearby when you see the mermaid statues). Order their Penne Arrabiata and Calamansi Juice for your afternoon snack. 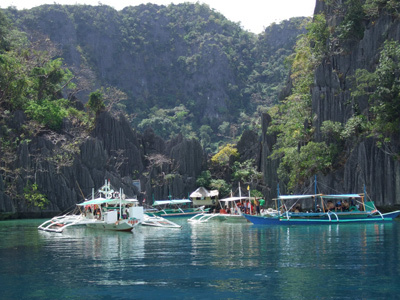 Coron is always a wonder especially its marine life and its natural attraction. Wow! Palawan definitely have lots to offer in terms of tourism. Here are 4 places na hindi mo dapat palagpasin when you are at Corron Island. The Twin Lagoon, hay pupuntahan talaga kita. It's been 7 years and I miss Palawan especially Coron! One of the most beautiful places, indeed. Oh my! I remember touring this. Taking Coron Loop Tour, and witnessing these beautiful locations within Coron Island itself. One could say that Coron tops it all off against many other beautiful locations in our country. Its a nice feeling, knowing that we have such a beautiful country that's waiting to be explored. I always wanted to visit Coron but there's no direct flight from dvo to busuanga :) maybe next year hopefully. Indeed lots of things to love about Coron. Great post Tess! One of the place I want to visit, I read so much about Coron but these other wonders are new to me. I've received more than a few invites to do reviews on Coron but I've always picked another place which is nearer to Manila. It's time to put that aside and head over here! I've not known that there are several nature wonders in Palawan. This is great. I still have to visit Coron...Hopefully next year. may mga hotels na ba dyan? Let me guys give you some cautions about RWR Travel & Tours or better known as Raquel Wenceslao, the operator herself. Being recommended by someone, we let her arranged our tour. As one of the booking conditions, we paid the 50% of the total package and full payment upon our arrival. The price were quite expensive but it doesn’t matter as long as we get the quality services. But things were all disgusting! Destinations- we paid for all the entrances fees but she did not included all. We asked for a refund but she never entertained us anymore. She had all our money so that’s it! I HAD A BAD EXPERIENCE WITH RAQUEL WENCESLAO. WE JUST TRIED TO ASK/INQUIRE ABOUT TOURS AND ALL AND YET SHE CHARGE US WITH 2K, SHE EVEN HARASSED US. PLEASE NEVER ENGAGE ANY TRANSACTION WITH THIS WOMAN. We just came back from CORON, PALAWAN. We also encountered this RAQUEL WENCESLAO REVELLAME. This was a business trip so we did not mind getting luxurious packages. This woman contacted us while we were in the middle of making arrangements in CORON. During our conversation of course she allured us of many unnecessary stories to make an impression that she is indeed a BIG TOUR OPERATOR here in CORON. When we arrived at CORON meeting her was the worst encounter of our lives. SHE IS NOT. We are not even sure if she has the right and correct credentials to transact. She IS INDECENT (SMOKING IN FRONT OF CLIENTS). SHE IS UNPROFESSIONAL (Our flight arrived at 12NN and we waited until 2:30PM to finally move to town and check in at the hotel. She did not even took the courtesy to ask if we were HUNGRY FOR LUNCH. SHE TALKS ABOUT US infront of many other people, shouts at us and LIES right in our faces about rates and services. When we wanted to end transaction with her due to the inconvenience in waiting and her manner of communicating with clients. SHE HARASSED US. SHE KEPT SENDING INDECENT TEXT MESSAGES AND EVEN CALLED OUR HOTEL TO TAKE ACTIONS AGAINST US. Good thing that our hotel never took her words. PLEASE, this woman should be reported and CANNOT BY ALL MEAN BE TRUSTED. 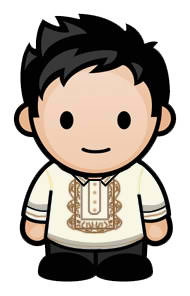 There are bigger and better LEGIT CORON TOWN OPERATORS that will give QUALITY SERVICES at an AFFORDABLE PRICE.